Schiek Sports has been producing high quality fitness, medical and industrial products since 1991. Schiek is known worldwide for quality, innovation and customer service. 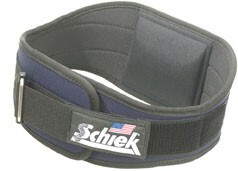 Schiek Sports produces superior back support belts for the medical field. Their USA made Model 4004 and Model 4006 belts are being prescribed by chiropractors across the country to their patients. 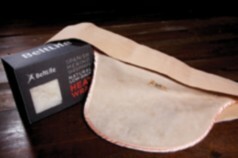 These models incorporate a lumbo-sacral pad that supports both the lumbar and sacral regions of the back. These belts incorporate the patented features of their Model 2004 and Model 2006 belts including the hip and rib contour and the one-way Velcro closure system. Schiek also provides a high quality USA made elastic belt with the patented hip and rib contour and safety detachable suspenders in the Model 8000 belt. Schiek can also cost effectively offer all these support belts with your clinic's custom logo to promote your clinic and grow your referrals. The company has also ex-panded the product line to include high quality wrist supports and wrist wraps and a newly introduced elbow sleeve made with breathable neoprene. Since March 1991, Schiek Sports & Medical has produced medical, fitness, and industrial products. Their aim was to market high quality belts, and today the Schiek brand is known worldwide for quality, innovation, and exceptional customer service. Maintaining the same passion, integrity and credibility, Schiek currently offers over 50 product lines that are sold in over 85 countries throughout the world. Moreover, all of the company's products have originated as a result of feedback and specific requests from their dealers and customers, a testament to Schiek's market awareness and remarkable customer support. For the chiropractic market, Schiek produces premium support belts, all proudly made in the U.S. Their popular 4004 and 4006 models incorporate the company's patented one-way Velcro closure for a precise and secure fit with hip and rib contouring, ensuring optimal comfort and flexibility in a rigid-style support belt. These models also feature a lumbo-sacral pad which provides proper support to both the lumbar and sacral areas of your patient's back, with a patented downward-angle design to fit their back's natural shape. Additionally, Schiek Sports & Medical offers a custom logo program, an inexpensive way of marketing your practice and growing it through referrals. Using Schiek's easy-to-use layout kit, you can brand your quality name with their quality products. Rack displays are also available so that your patients can readily view the quality products you carry.